What an incredible time to be alive as a woman on this earth. Twenty years ago, I became part of a movement of women who prayed that abuse against women would be revealed. We asked that human trafficking, slavery, violence against women, sexual abuse—everything that was so evil and still so hidden, diminishing women in the dark—would be revealed. I am certain that 20 years before us, there were women who had prayed and wept too. This movement is not new. This was not news to Jesus. Jesus had been walking with suffering women for thousands of years. But now we see Light breaking forth everywhere. Exposing abuse scandals are becoming the norm, rather than the exception. Men are being held accountable. Reputations are exposed. Women are beginning to be believed. When the evil is exposed, truth can break forth. Healing can come. Women whose voices had been denied for so long, are being heard. While all of this is happening, there are voices in the church who are almost shouting that women should not be heard. Women should not preach, teach or lead. It’s easy to tune into that noise and become discouraged. In fact, while Freedom is coming for so many, the voices that want to maintain a status quo that favors only a few, are becoming especially loud. So, for a moment, last week, I turned my face away from the Freedom and tuned into the noise. I let it discourage me. The noise felt too loud, too strong, too big, I began to feel paralyzed. At the end of the night, I sat on the couch. The kids finally went to bed and the house became quiet. I felt heavy-hearted and discouraged … And then I scrolled a bit through Facebook. As I watched the women in my world share their strengths, their work, their freedom, a light went on. I grabbed my computer and started writing it down. I wanted to name the Goodness breaking through. I wanted to remind myself of the Freedom that is erupting. It doesn’t always come as the front page of TIME, but it is happening ALL around me. All around us. I am ridiculously honored to walk with incredible women. Let’s not be fooled in thinking that only women who have huge followings are the women who create change. Sometimes I remember that we are working in the trenches. We are doing the hard work of empowering women daily. We are building relationships DAILY. We are offering a safe, encouraging space of solidarity for women DAILY. And it’s in the dailyness that I am seeing these small miracles. It is here that I see Sisterhood Rising. I see women rising, by taking their next step of courage. I see women rising, by taking their next step in healing. I see women rising, by choosing to be vulnerable. 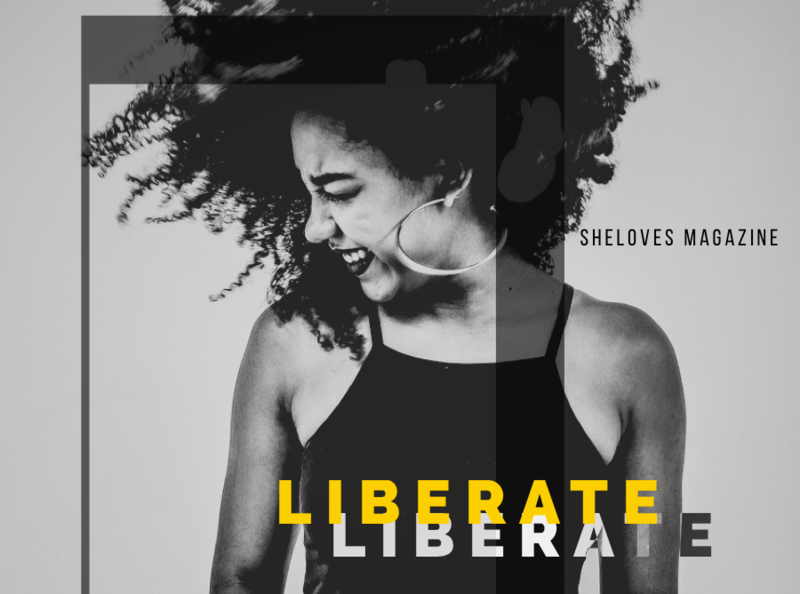 When I looked at the women in my world—friends, SheLoves team members, SheLoves authors, Dangerous Women Tribe members, my daughters and their friends—it was like Freedom was everywhere. -One stepped up and led a Lectio Divina reading, asking women to join her in seeking God. -Another wrote a badass piece on SheLoves on the sisterhood who supported her during a very difficult moment and how she gained clarity and strength. 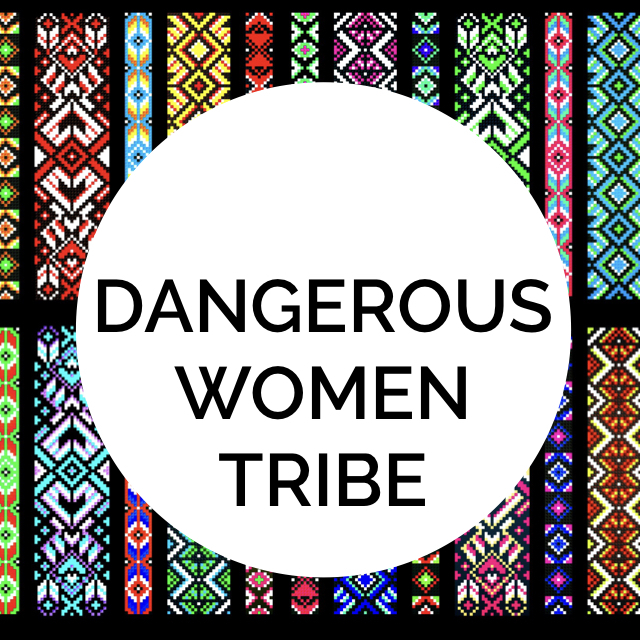 I was an actual witness to this playing out and how women shared wisdom, strength and courage inside the Dangerous Women Tribe Facebook group and it was stunning to see. Just stunning. Yes, we are stronger today, Claire. Yes, we are. –Another made her debut on Christians for Biblical Equality on why being a preacher and a pastor is her divine calling. Yes, women are called and qualified to preach, Brenda. O, yes, we are. -Another sent me a private message that a publisher wants to publish her book. And it is a beautiful book. -Another sent me a message saying she is reconstructing her faith and it no longer feels like guilt. Hallelujah. -Another launched our contest, so you can win some great goodies simply for buying your ticket to The Embodied Woman early. -Another was thinking of ALL the details for that same 2-day conference in February that you don’t want to miss. -Another thanked five women in her circle who showed up for her this week and showed her how much she is WORTH. -Two of my favourite people in the world got to connect and spend time in Tacoma in the coffee shop that one of them OWNS. -The teenager in my home wrote her Science exam and reflected on the ways in which she had seen God in nature. -I got to have pad thai with a friend who serves and loves refugees in our city. -Another friend wrote a post about her awakening to the injustice against indigenous people in her own backyard + shared all the resources she’s read through, worked through, learned from in the past year. -Another friend is getting the courage she needs from the sisterhood around her to make some incredibly brave decisions. So, my dear sisters, the self-doubt and voices that tell me I was not doing enough, I was not on target enough, I was not clear enough were particularly loud and harsh last week. Perhaps it was exactly because they were so loud and harsh that I started to wonder: What are they trying to hide? What are they trying to distract me from? What do I need to see? It was then that I took a step back and SAW what was going on ALL AROUND ME. There is this whole microcosm of beauty and goodness and solidarity and strength and LOVE and support and rising and transformation and learning and asking and stepping up and STANDING happening. And I was astounded at the beauty of it all. It is all around me. These women are all around us. It is you. And it is me. Women are preaching, teaching, leading, rising, managing, directing, loving, serving, changing poopy diapers, supporting, living with pain, asking for help, praying, pondering, planning and walking in such courage. Women are rising. 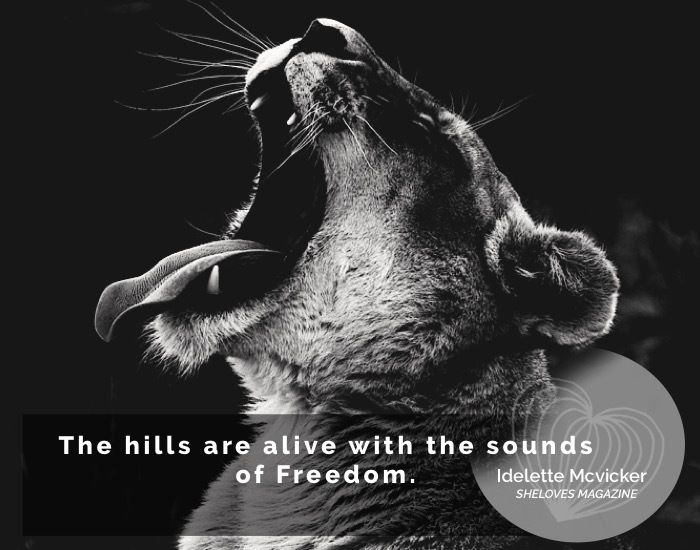 The hills are alive with the sounds of Freedom. It’s sounding more and more like a roar to me. I believe this roar is the heart of God—Freedom for all women. More freedom for all of humanity. Let’s not miss this. Don’t be discouraged by the noise. Open your eyes and SEE the stunning freedom unfolding everywhere. Small ones and big ones. Glory is all around us. God is on the move and it is BREATHTAKING. We are not always pumping fists or raising hell. Most days, we are simply going on about our lives, living into every fullness, taking the next brave step, adding our voices and our gratitude to the world. We honor the humanity in each person we come across. But when you look, and truly see, you can see how this is becoming a movement of Freedom. You, my sisters, are a beautiful roar.